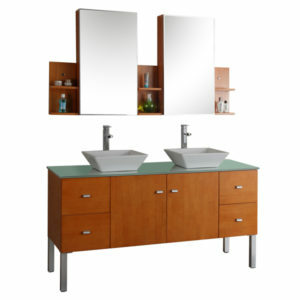 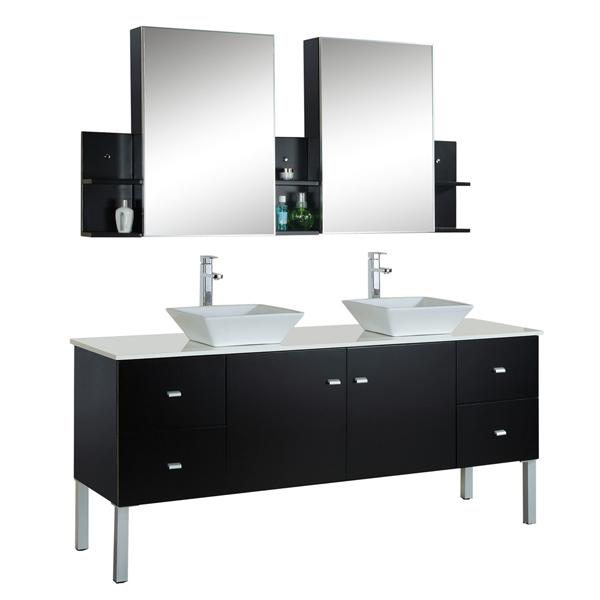 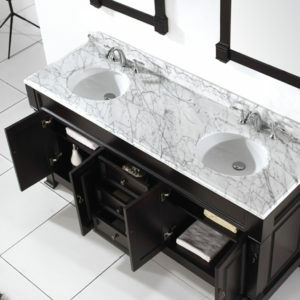 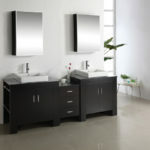 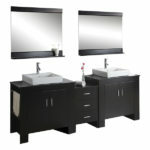 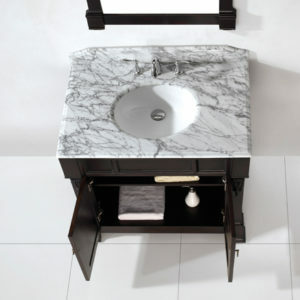 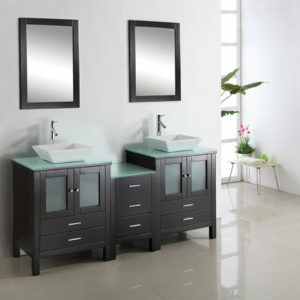 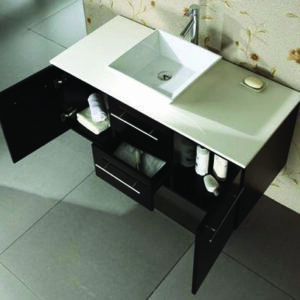 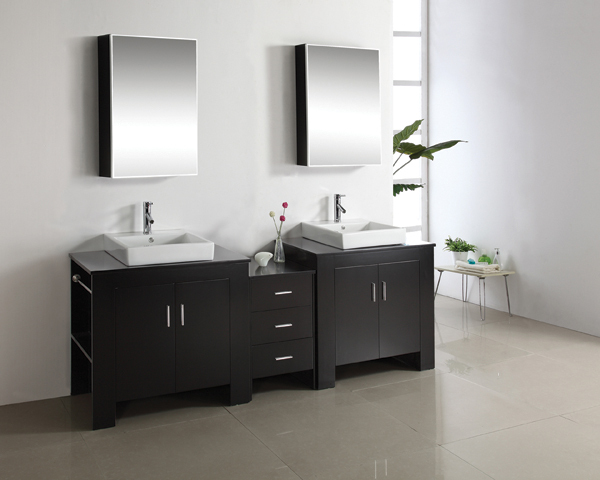 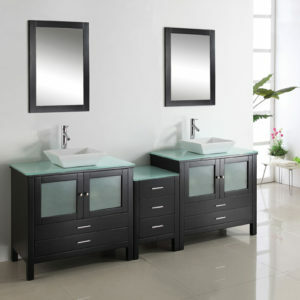 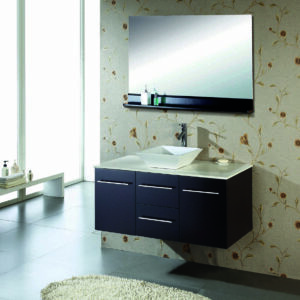 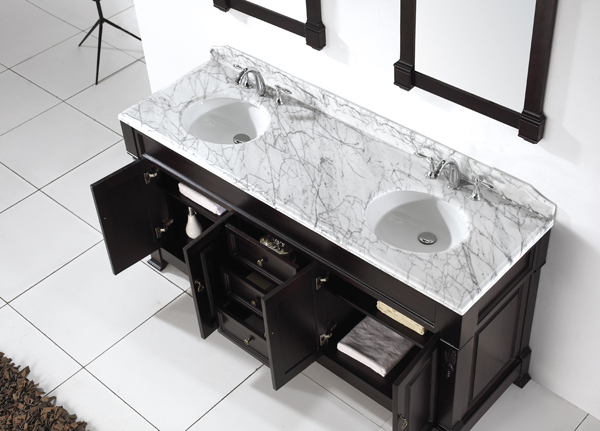 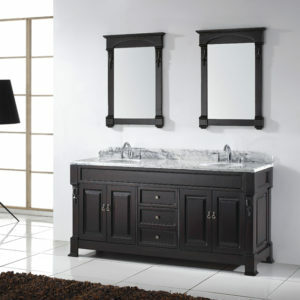 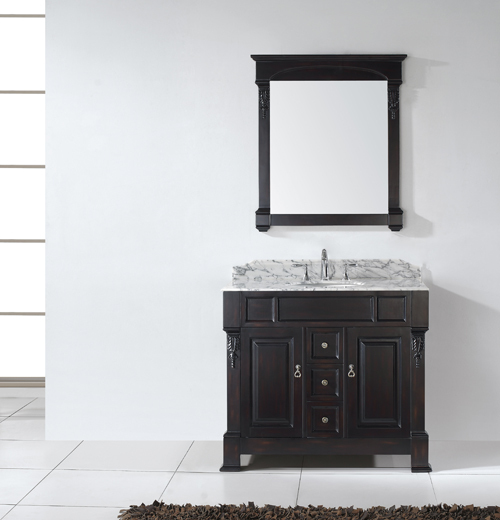 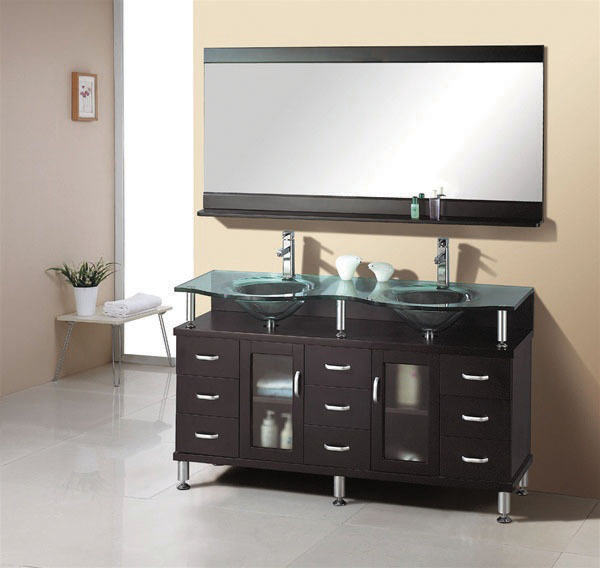 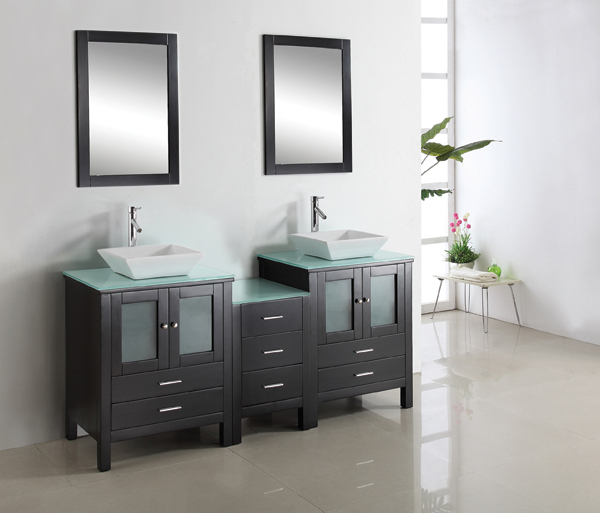 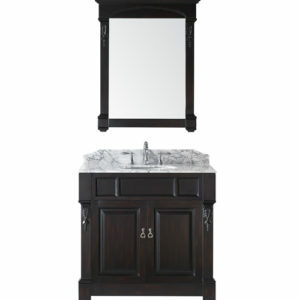 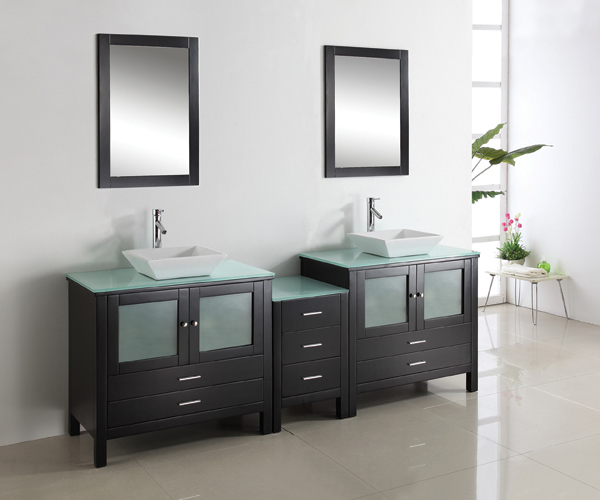 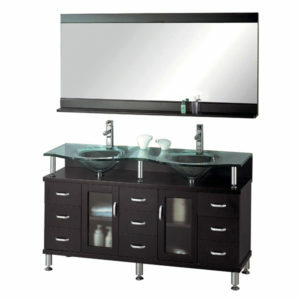 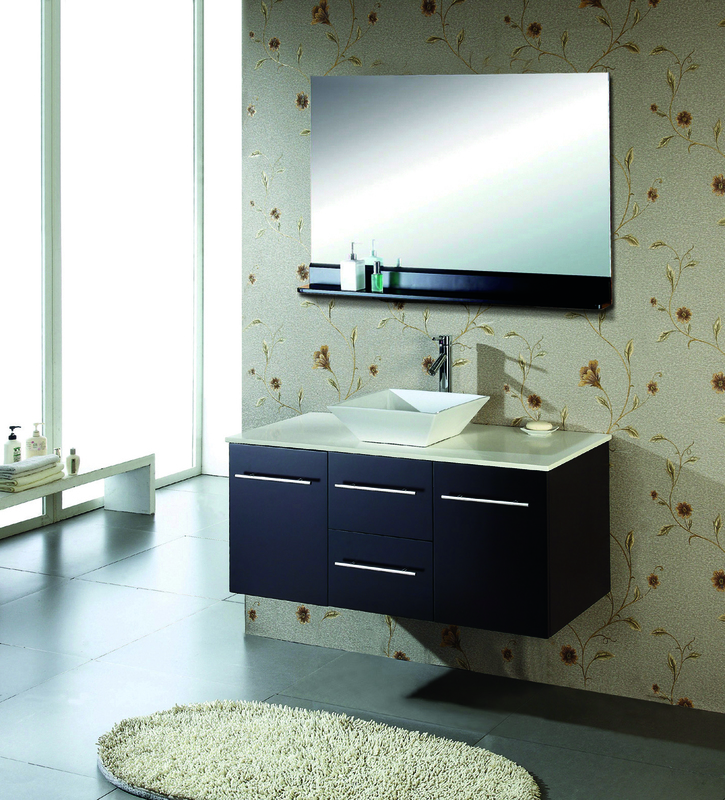 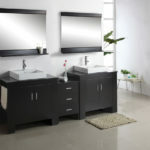 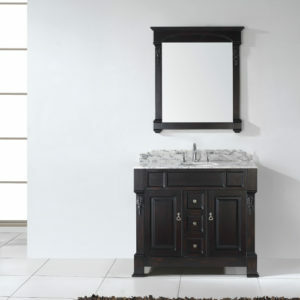 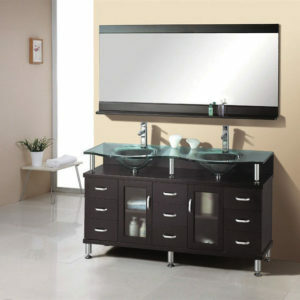 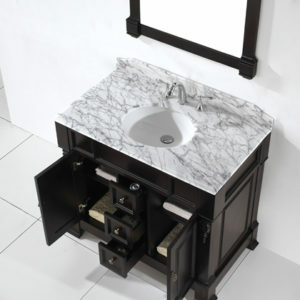 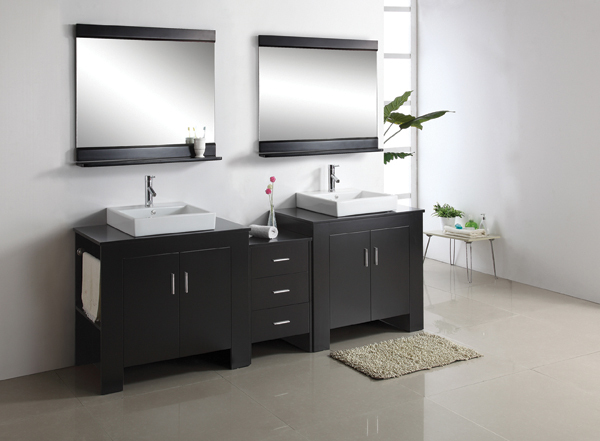 The Tavian bathroom vanity presents a modern design with clean sleek lines. 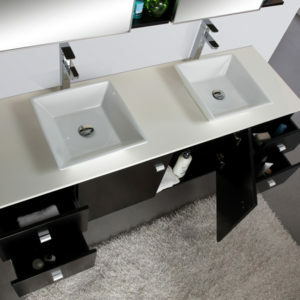 The trendy white square basins enhances contrasting balance against the wood element. 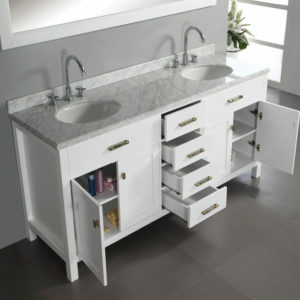 Shelves on the side of the vanity provide storage and towel rack. 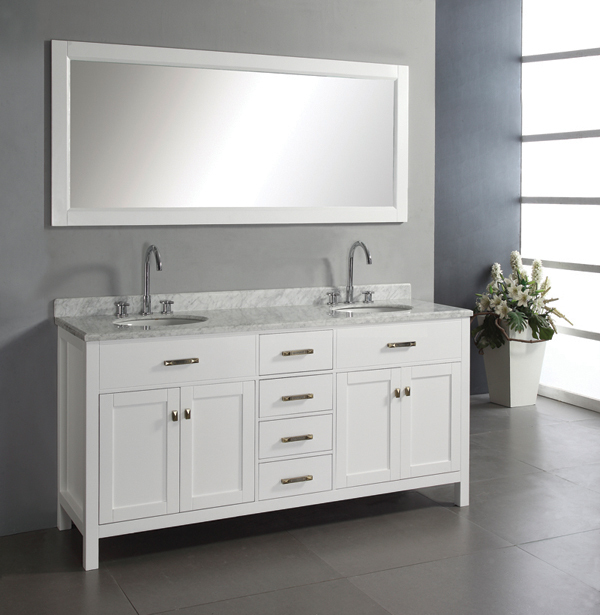 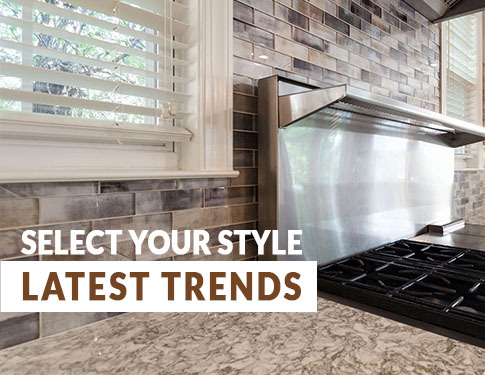 The Tavian comes in a standard 36” and can be comebined with a 18” side cabinet to create a variety of sizes. 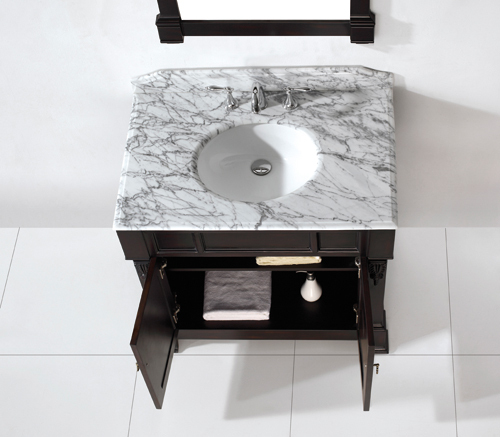 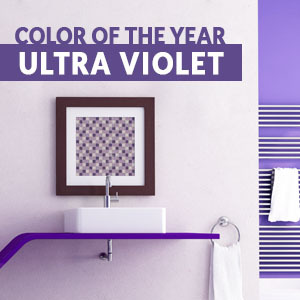 The Tavian is a beautiful choice for any bathroom design.